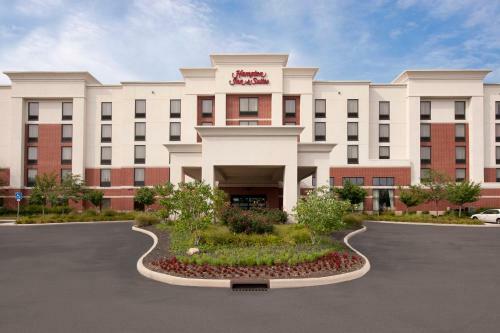 Conveniently located just off Interstate 270 and steps from the area's main points of interest, this hotel features a free hot breakfast as well as signature Cloud Nine beds. Discover over 100 unique shops, restaurants and entertainment options at Easton Town Center, situated seconds from the Columbus-Easton Area Hampton Inn and Suites. Begin the morning with the Hampton Inn Columbus-Easton Area's with a workout in the state-of-the-art fitness centre or with a swim in the indoor pool. Relax at the end of the day and enjoy an in-room film on flat-screen TVs. 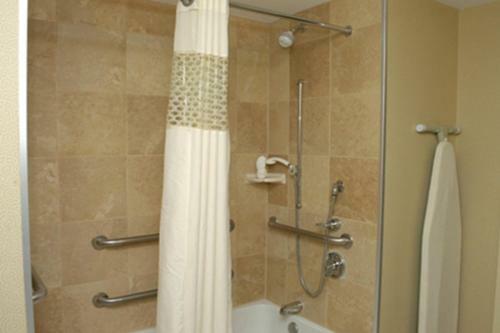 the hotel Hampton Inn & Suites Columbus-Easton Area so we can give you detailed rates for the rooms in the desired period.